Pool Heaven based in Orange County California has been providing expert Fountain Valley Commercial Pool Service for over 20 years. We are properly insured with a multi-million dollar liability insurance policy, an umbrella policy, as well as workman’s compensation insurance for all of our employees. We are also licensed with the Contractors Board of California (#796305). These designations should be the basis for anyone seeking Fountain Valley Commercial Pool Service. We work with many property management companies, health clubs, co-ops, condos and residential homes and can provide regular maintenance and repairs to pools, spas, and cement lagoons in Fountain Valley or surrounding areas. Our commercial pool service technicians and management recognizes that customer communication is paramount, so we will respond swiftly to any and all of your Fountain Valley Commercial Pool Service needs via email or phone anytime. Our master commercial pool repair technicians are skilled and experienced to troubleshoot and fix anything related to commercial pool system repair. 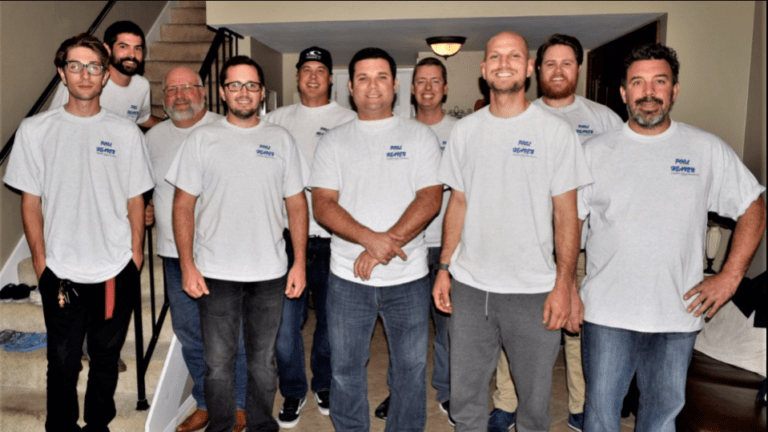 Additionally, we are IPSSA Water Chemistry Certified and conduct weekly meetings for all of our managers and Fountain Valley Commercial Pool Service Technicians. We use these meetings for constant education, training, and mentoring, so you can have confidence that your commercial pool service is always providing superior service. Our highly trained and qualified staff attend trade shows, classes, and educational seminars to stay current on all the latest innovations insuring you are receiving the best service possible. Our standard, is above “industry standard”. Put your Fountain Valley Commercial Pool Service in Pool Heaven and call us now!